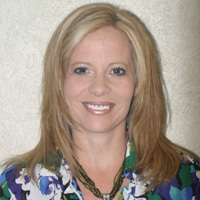 Lisa K Jones is a Licensed Professional Counselor. She graduated from Southwestern Baptist Theological Seminary in December 2005 with a Master’s in Marriage and Family Counseling. She has a Bachelor’s in Psychology from the University of Texas in Arlington, Texas. She has various certifications: Stress Management, Grief and Trauma, and Attachment. Lisa attended First Baptist Church in Euless for 11 years. She has been on staff as well as a pastor’s wife in a local apartment ministry where she practiced pastoral counseling for 9 years; she has worked closely with the youth pastor assisting in youth camp and areas of need with the youth; she has provided training to small groups within the adult department in stress management and marital issues. She now attends Gateway Church in Southlake with her family. She married her husband in 1990 and has 2 children, 22 and 18 years old. Lisa is a certified Advanced Life Coach through the AACC (American Association of Christian Counselors). She is DMA certified as a Stress Management Consultant and is certified in Stress and Trauma through Light University.